The Nature Reborn Mod is a fantastic mod for the latest version of Minecraft 1.7.10, it focuses on changing the mechanics of Minecraft to give the player some unforgettable moments. The developer of this mod used to create a mod that focused on Natural Disasters. But after it was discontinued he started creating the Nature Reborn Mod, and guess what? It also adds many natural disasters to the game. There is no real way to use the Nature Reborn Mod you first of all need to download it with Minecraft Forge and then you can load up your latest save game. When loading all of the mods features should be automatically enabled. 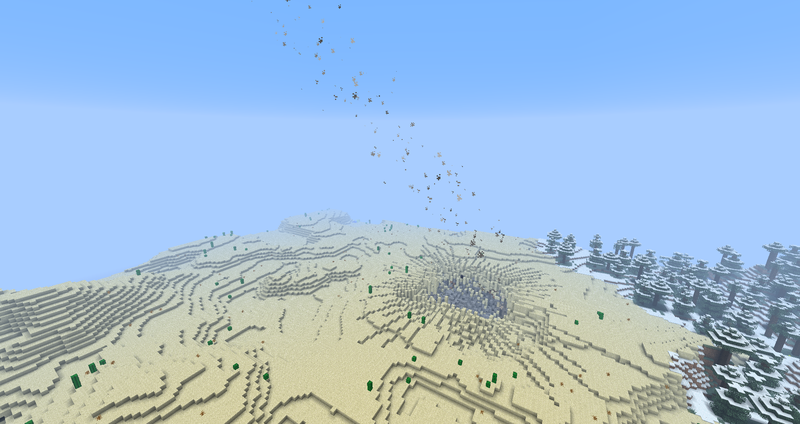 Once you start up this mod, you will realize that a large meteorite has fallen from the sky and has landed into the ground, This is just one of the natural disaster that this mod adds to the game. 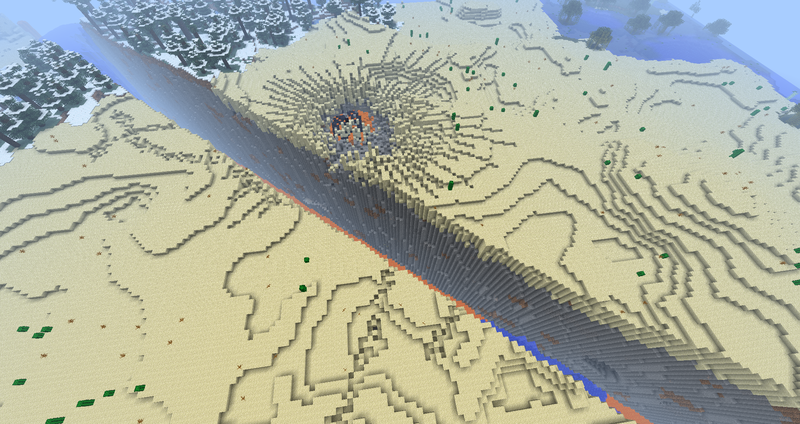 This meteorite will then great a giant earthquake in your Minecraft world that will split the earth down the midde. This mod is only a work in progress, so some tweaks still need to be made. Next, download the Nature Reborn Mod and drag and drop it into the .minecraft/mods folder of your Minecraft directory. There are currently no public changelogs for the Nature Reborn Mod.